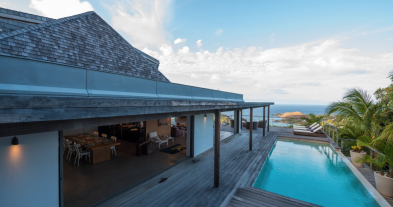 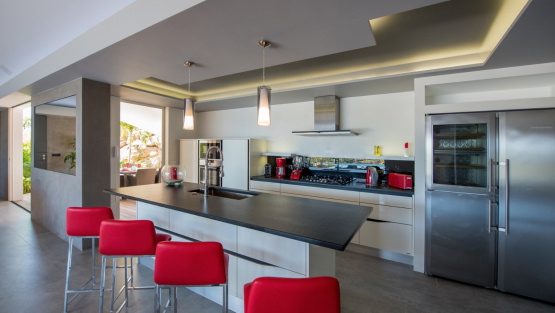 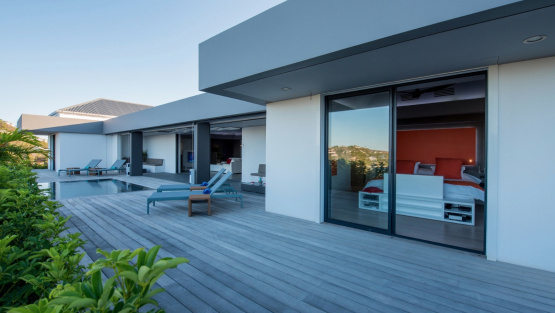 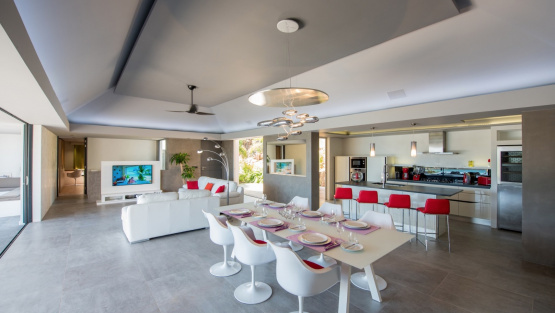 Villa AMETHYSTE is a Brand-new villa, which brings chic, contemporary design and a very high level of standing. 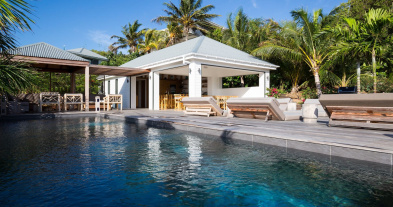 This is the perfect villa for 2 couples travelling together or a small family. 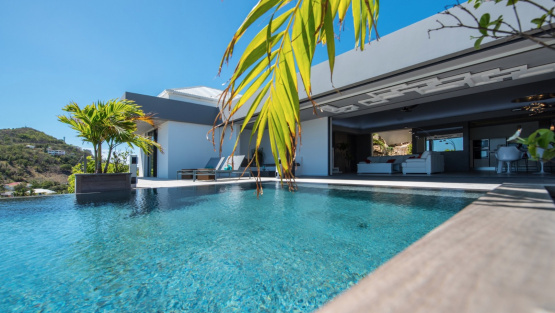 Contemporary luxury nestled in a natural haven, Villa AMETHYSTE possesses both style and comfort in its tranquil and natural surroundings. 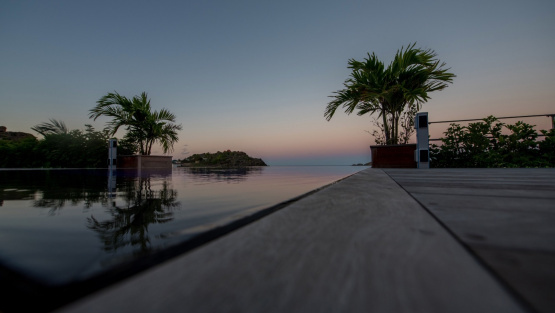 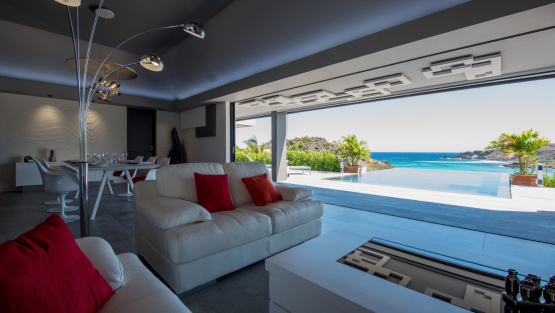 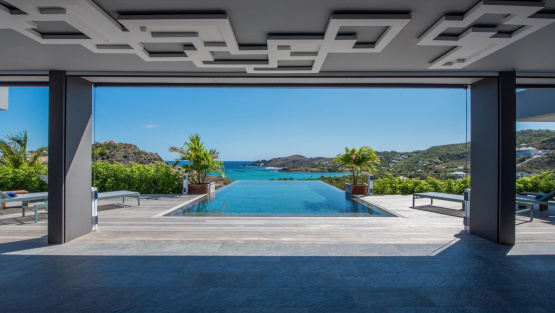 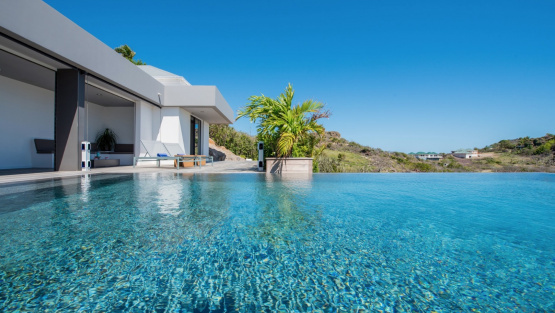 The stunning sea views over Petit Cul de Sac from the pool, main terrace, or living-room will please anyone seeking a breathtaking St. Barts vacation. 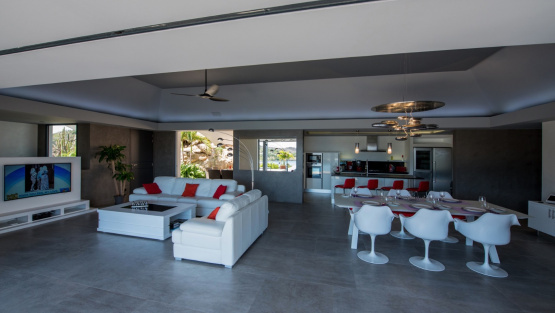 Villa AMETHYSTE has two equal bedrooms on each side of the living area. 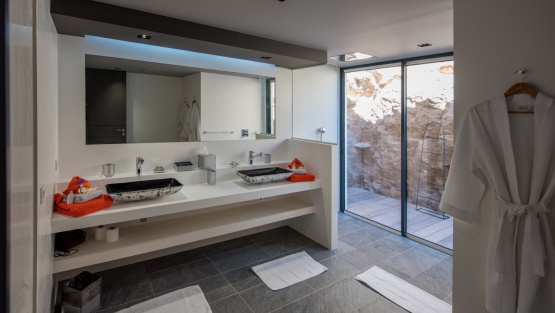 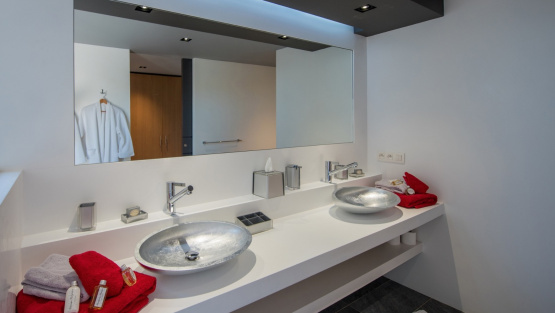 Each bedroom has an indoor and an outdoor shower and a double vanity, making the home perfect for two couples to share. 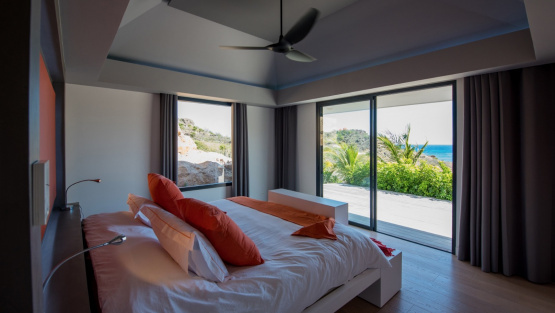 One bedroom has a king size bed, and the other has two twins that can be made up as one king or remain separate for families. 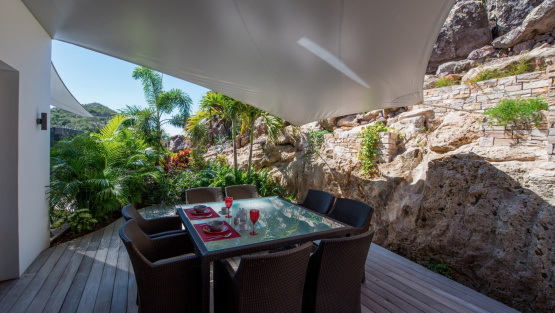 The covered dining terrace is perfect for evening barbecues and compliments the fully equipped kitchen. 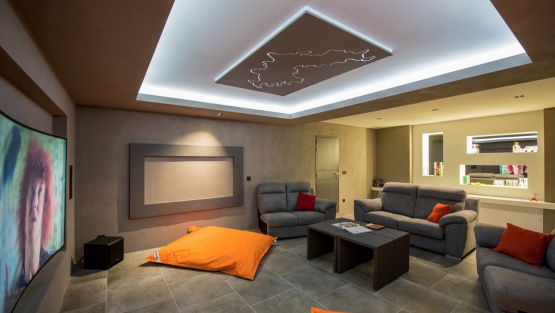 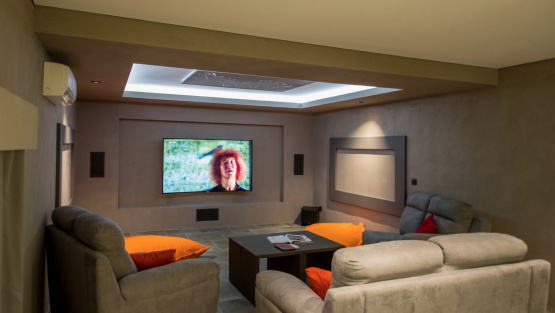 After dining you could enjoy the cinema room with widescreen and surround sound. 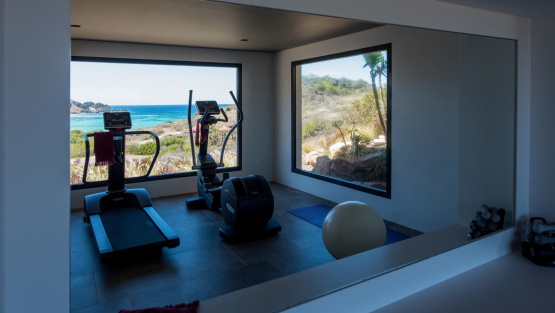 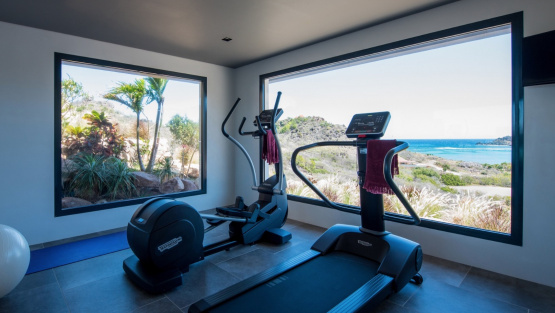 On the same level, there is the fitness room offering a complete workout option to keep in shape while on your St. Barts holiday. 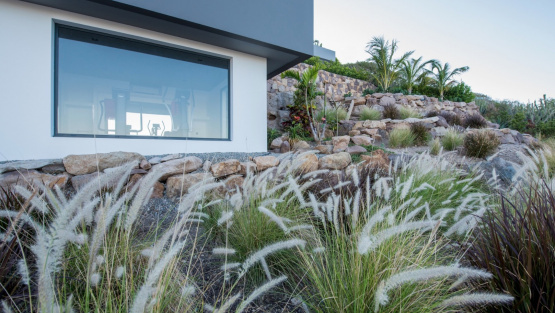 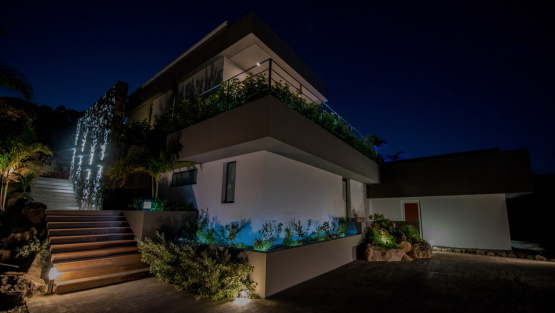 The modern lines of the villa are well integrated into natural surroundings, with an exclusive seating area by a small waterfall that can almost make you forget where you are. 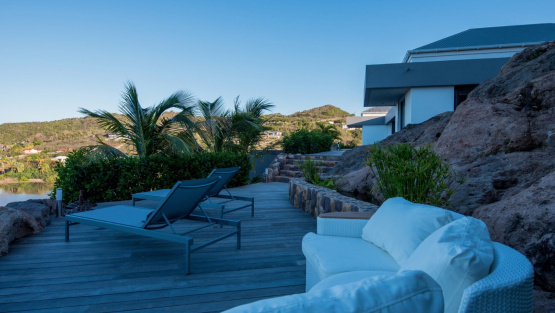 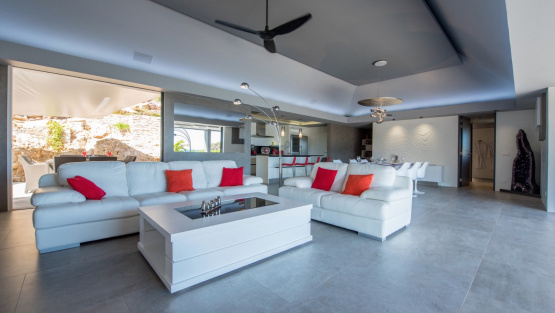 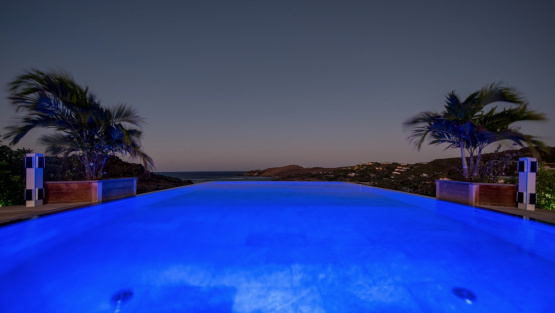 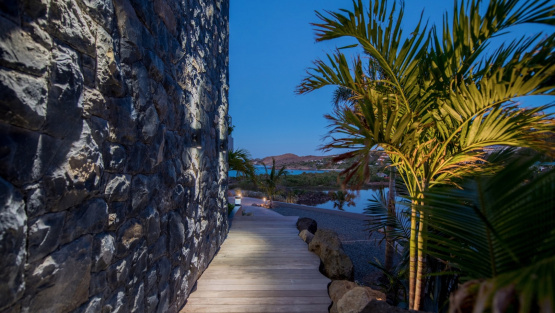 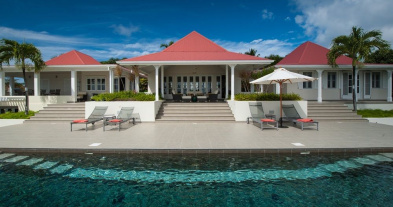 Villa AMETHYSTE’s natural beauty and chic design will make your stay in St. Barts relaxing, luxurious and comfortable. 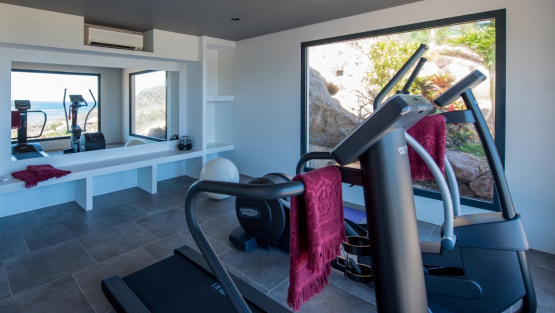 Don’t hesitate to book now for couples traveling together or small families, you will enjoy every moment at the Villa AMETHYSTE. 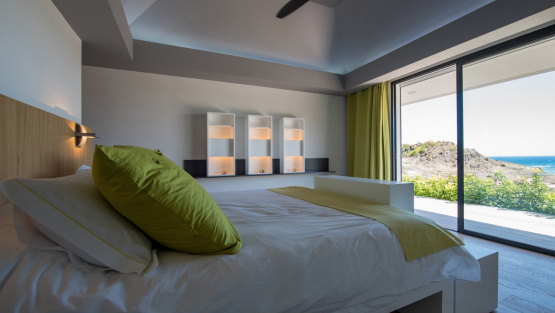 Large King bed size, Large dressing, Air-Condtioning, Ceiling fans , TV , DVD , French satellite, Apple TV, safe, Corner office, Ensuite Bathroom whith shower, Outdoor shower, Ocean view.